Gambling seems to be the ideal situation for everyone excluding the player who loses money before he/she can make any. Instead, such players make pots of money for investors and regulatory authorities as it gives excellent returns and taxes. The biggest problem for a landline or online casino today is to survive competition from similar and large casino firms available in the market are the freebies to their existing customers and news ones for drawing them from other casino providers. The growths of online casinos, economic depression and other financial upheavals have left casino providers reeling in debt and shutting down. Top choices for investment in this sector are Amaya Inc. and Great Canadian Crop, which are likely to stay profitable for a long time. 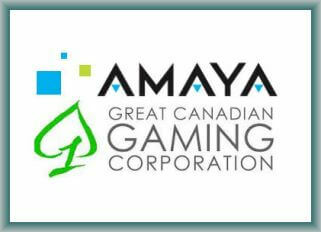 The practically unknown Amaya Inc. shot into the limelight when it bought Rational Group which owned PokerStars and Full Tilt Poker that are the largest online poker brands by paying a whooping sum of $4.9 billion. With the acquisition of both these brands the company is keen on offering both sports betting and table games which are popular across Europe and can help the company acquire double digit market share. With likelihood of legalization of online poker and sports betting across United States the company is likely to reach its target of projected earnings of $1.92 very soon. The Canada-based firm owns 10 casinos across the Canada and Washington along with sever horse racing tracks. It had a profitable 2014 as revenue increased by 10 percent to $446 million and earnings per share also increased to $1.2 helping it wipe out the old debt of $442 million. Being the largest and oldest casino operator across the country, Great Canadian has a good relationship with regulators and has a dominant position in Vancouver market. Investing in this firm for a long term would provide good returns to investors.